Gordon Mabbs started off in the Civilian Cantonment next to RAF El Hamra in November 1951 as a clerk to the civilian administratorMr Carr. He was billetted in Kasfareet but had to march over to the Cantonment every day with a rifle. From the Cantonment, his next move was to No 3 Tech Wing in Kasfareet at the end of March 1952. He returned to the UK in October 1953. His memory of names from his time there is very sketchy so he would be grateful if anyone recognises anyone in the pictures to send those names via the Forum Page. Taken in Cyprus - Possibly the chauffeur to the 107 MU C/O, Dave Symonds the 3 Tech Wing electrician, Henderson who was a member of the all-conquering Kasfareet water polo team with Gordon Mabb extreme right. Gordon believes this to be Billet 18 1952 Xmas celebrations. 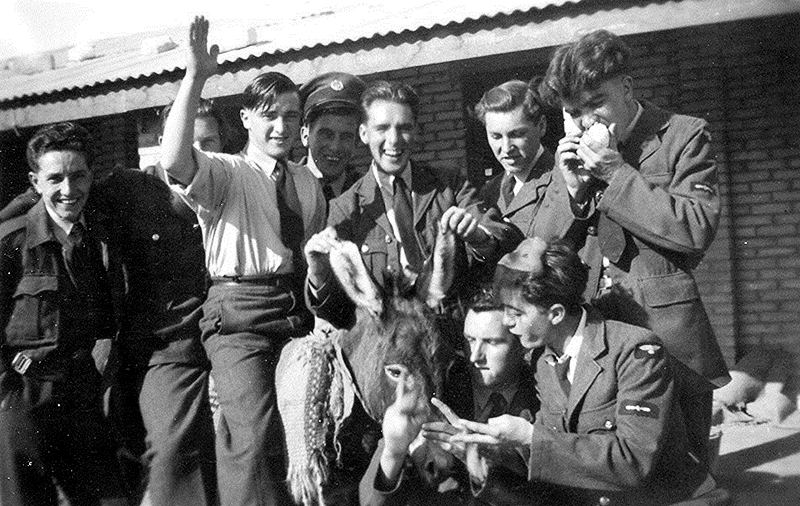 He does not remember where the donkey came from ( a donkey ridden by an officer appears elsewhere on this website). Gordon is extreme left of the picture. 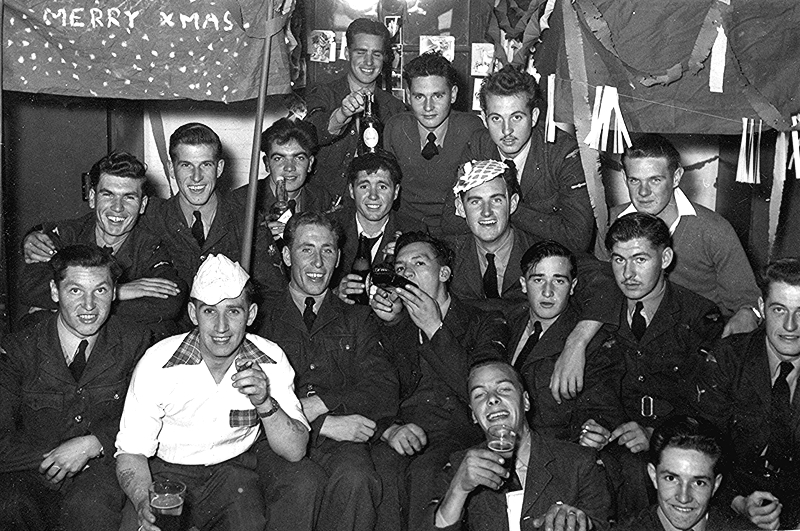 Gordon thinks this is billet 18 ,again Xmas 1952 but on reflection he says it could even be 16 or 17. To the north of the airmen`s mess anyway. Dave Symonds is middle top of the group with Gordon bottom right.